Choosing the best mattress for kids requires serious consideration. Research proves that a child's neurological development is proportional to his/her sleep quality. Sound sleep is essential for a kid's health, wellness, and growth. Therefore, it is important for you to understand the properties of the best kid's mattresses and important buying considerations. Every child has unique slumber needs, and parents want only the best for their young ones. No one mattress is best for your kid. Much depends on your child's physique, sleep style, likes, and dislikes. Moreover, a kid-friendly mattress needs to have certain qualities to ensure safe and healthy sleep for your child. How to Choose the Best Mattress for Kids? Kids seem to outgrow everything ever so quickly, and admittedly, no one wants to purchase a new mattress every year. A carefully chosen product can ensure a comfortable and health-promoting snooze for the child at least 7 to 8 years on the same bed. 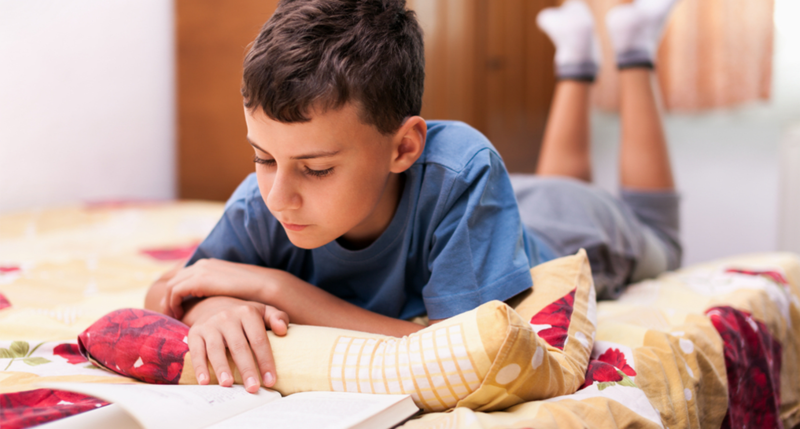 For the kids, a bed isn't a place reserved for rest — it's where they do their homework research, have fun during sleepovers, share secrets with their friends and siblings, munch their favorite snacks, share secrets, shed tears, and jump in joy! All this needs to be taken into account before you begin the mattress hunt for your children. Is it firm and supportive enough? Does the mattress pose suffocation risk? Are the materials safe and healthy for kids? Is it safe - any buttons or zippers that could come loose? Is the maintenance and cleaning easy? How durable is the mattress? Let us address all of these and more, and guide you to the best products to improve your kid's sleep. How old are your kids and how long do you plan to keep the new mattress? Is the bed intended for one child or more kids will share the bed? If kids are young, do you sometimes co-sleep or cuddle in bed until the child settles down? In the case of bed sharing, Full size is worth the extra money. It can accommodate your preteen through the growth spurt and has enough space for teens to move around in sleep. Factor in the weight group, height, and growth potential of the child. The mattress should be big enough to offer the kids the best support. Average or lightweight kids (especially preschoolers and tweens) require thin mattresses, around 8-inch thick with viscoelastic sleep surface for enhanced comfort. Chubby kids, especially tweens or early teens get the best sleep on supportive mattresses. Look for responsive foams, latex, or innerspring in the mattress construction. For teens, 10 inch mattresses remove the risk of bottoming out. Regular mattress sizes are enough to accommodate an average kid from early years through adolescence and teenage. They offer enough space for the child's growth. The additional 5 inches in extra long mattress sizes make a ton of difference for taller tweens and teens. The dominant sleep position tells you how firm a kid's mattress should be. It also clues you about the preferred mattress materials suitable for achieving that comfort level. Your lifestyle and your child's activity level has a lot to do with your mattress selection. If your kids are actively involved in sports, they need mattresses that aid rest and recovery. If you pursue a natural lifestyle, choose organic/natural mattresses like natural latex, organic cotton and wool, and other naturally sourced foams. They give off little to no toxic fumes and odors. If you're passionate about nature, choose brands with a focus on sustainability and eco-friendly practices. If you'd like to help uplift society in every possible way, choose brands like Leesa or Brooklyn Bedding that are actively involved in community work. Medical conditions like asthma, sleep apnea, scoliosis or other musculoskeletal diseases can make deep sleep a distant dream for a child. The sleep deprivation and fatigue can further exacerbate the symptoms. Deep sleep aids recovery and uplifts the mood, and a right mattress can significantly improve the kid's restfulness, one night at a time. Latex and waterbeds are said to improve sleep apnea symptoms owing to the relatively less sinkage and enhanced support. Zoned or graduated support adapts better to different postures and growing bodies of preschoolers and preteens. Alternatively, adjustable firmness mattresses allow you to alter the comfort level to suit the kids best. How to Choose the Most Suitable Features for a Child Mattress? Always keep the growth factor in mind. Remember to factor in the foundation size as well. 2. How Firm Should a Child's Mattress be? Comfort level is subjective and therefore, choosing right mattress firmness for the child becomes a difficult decision for the parents. One objective way is to match the child's weight to bed's ILD (Indentation Load Deflection). ILD gives you a pretty accurate idea about the suitable mattress firmness for the child. Medium firmness is likely best for preschoolers or younger kids who do not have fixed snooze patterns yet. Adjustable firmness mattresses allow the kids to change the comfort level as their firmness requirements change. 3. Are Support, Sinkage, and Bounce Important? Kids benefit from a supportive mattress with subtle bounce and just the enough sinkage. Healthy sleep posture is crucial for a child's proper growth. A supportive mattress maintains proper sleep posture and provides an even surface feel. Supportive designs prevent excessive sinkage and preserve the child's spinal curvature in all sleep positions. Balanced support and sinkage are crucial for relieving growing pains. As a result, kids experience deep REM sleep, improved circulation, and enhanced rest and recovery. A subtle bounce assists younger kids change sleep position and move in the bed without disrupting their snooze. 4. What Sleep Temperature is best for Children? Kids usually sleep hot, so look for a neutral or cooling mattress. Some materials are naturally hot or cold, but you can use various market solutions to achieve a neutral sleep temperature for your child. Choose products equipped with some kinds of mattress cooling technique, for instance, gel foams or phase change materials. Use cooling mattress toppers, cooling blankets, and other accessories if hot sleeping becomes an issue. Latex is naturally cool and breathable. If your child feels cold, invest in thermal blankets or memory foam toppers. 5. How to Ensure Minimal Off-gassing? Off-gassing is the release of chemicals from the mattress when you unbox it. The odor can be strong and lingering or unnoticeable depending on the construction materials. In large amounts, these gases can cause allergies, respiratory problems, and some are carcinogenic as well. However, generally mattress emissions are rigorously tested for safety levels before approved for sale. Almost all mattresses are CertiPUR-US certified, ensuring that the offgassing is within a safe limit. Third-party certifications like Greenguard Gold test the entire mattress for the presence of VOCs and other harmful materials. Choose organic mattresses. They use natural materials to ensure minimal toxins, if any. In any case, off-gassing stops and chemicals drift away on their own within a few days of airing out the mattress. 6. How to Prevent Motion and Noise Disturbance? Parents co-sleep with their child. If the child suffers from allergies and/or is cranky most nights. Foam mattresses have least motion transfer and since they have no coils, they minimize noise disturbance as well. If you choose innerspring mattress, look for foam side rails that muffle any sounds. Most mattresses use pocketed coils nowadays that are wrapped in foam or fabric, thus, eliminating any noise or motion disturbances. 7. How to Ensure Mattress Safety for Preschoolers? Kids can put anything in their mouth or worse, nose, absentmindedly. The risk of choking is especially real for preschoolers and early tweens. A childproof mattress design ensures the absence of any small parts that can come loose. Ensure the absence of any buttons or embellishments in designs. Ensure zipper tabs are sturdy or choose the ones with an invisible zipper. 8. What Are the Benefits of a Reversible Mattress? Reversible beds may last the entire childhood of the young ones, well into their teenage years. Different comfort levels on each side let your child choose the firmness according to the changing sleep needs. When one side wears down, the other side is still available for use. Periodic reversal slows down wear and tear due to daily use. Most mattress makers use better quality materials in reversible mattresses. Which Mattress Categories are Best for Kids? Parents have been favoring innerspring mattresses for their children since long. 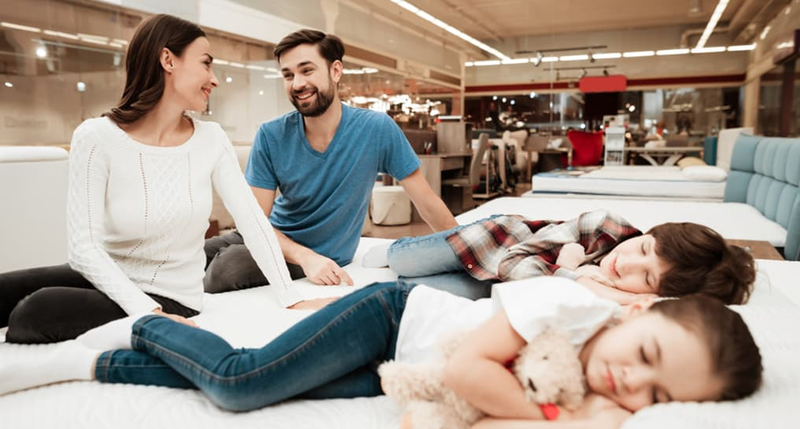 However, given the abundant choices, many customers ask, is a memory foam mattress good for a child or will my kids benefit from the therapeutic effects of a waterbed. In fact, memory foam, latex, and waterbeds, all are proving their merit as kids mattress as well. Much depends on the personal preferences and child's sleep styles. So, let's dig deeper and study the distinguishing features of each mattress material separately. How to Calculate the Cost-based Value of a Kids Mattress? Weigh the price against quality, durability, and intended duration of use to evaluate and compare the value of your shortlisted mattresses. As kids grow, their sleep needs change and so does their mattress requirements. For this reason, you shouldn't invest in a very expensive bed, especially for adolescents. As such, high price equals high-quality is a MYTH in the mattress market. Price alone is an insignificant measure of quality or product value. However, the average price for each type of mattress gives you a useful reference point to set your budget. Higher price than this range should have some additional value proposition. For a lower price, look for the catch! You might overlook durability, given that a child is expected to sleep on a mattress for around 7-8 years only (average lifespan of a regular mattress). However, durable mattresses use high-quality materials that directly impact the rest quality. Read beyond the labels and find out specifications, especially the foam densities. Only then can you ascertain the actual quality and durability expectancy of the products. Longer the trial period, the better. In-home trials are best way to test whether a sleep surface suits your child or not. Since kids might not be able to understand or convey their sleep needs, their slumber quality during trial helps you take the decision with confidence. Sleep trials range from 90 days to as long as a whole year — most online mattress brands give you 100 days to test the mattress at home. Since most returned mattresses are donated, consider using a mattress protector to prevent soiling. Longer warranty period not only provides some peace of mind but can also indicate the durability and quality of the mattress. Most mattresses come with a 10-year warranty. Latex mattresses are usually protected under warranty for 15-20 years. Some brands provide lifetime warranty as well. Sometimes warranties are accompanied by comfort guarantees. Products providing comfort guarantees offer free or discounted mattresses if you wish to change the firmness of your bed within the allotted time period. Dark colored covers hide stains and spillage marks. Prefer machine washable covers for easy cleaning. Removable covers are a good choice too for spot cleaning without harming the foams underneath. Some mattresses have waterproof covers or come with a waterproof mattress protector. A comfortable mattress for kids lays the foundation for better sleep habits. As a result, your child's health and wellness improves. Once you've further narrowed down your search, you can use SleePare Mattress Comparison tool to reach a well informed, confident decision.